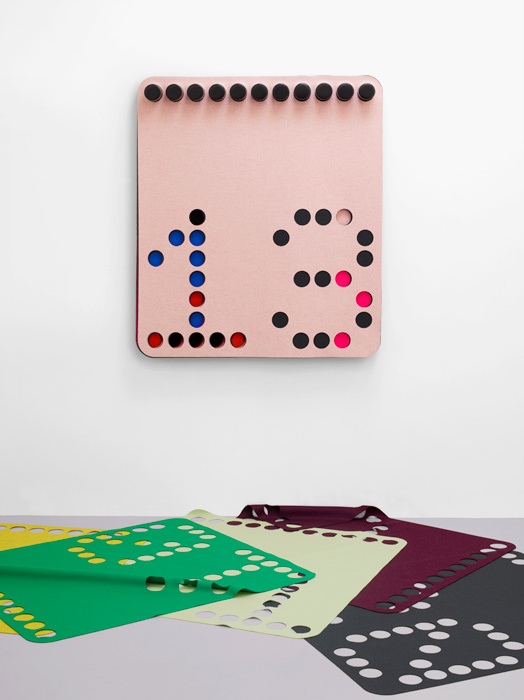 For their presentation at the 2014 Salone Internazionale del Mobile, Kvadrat celebrated one of their most iconic textiles – Divina – by asking twenty-two international designers to reinterpret the fabric in the context of contemporary design and to create a one-off piece. 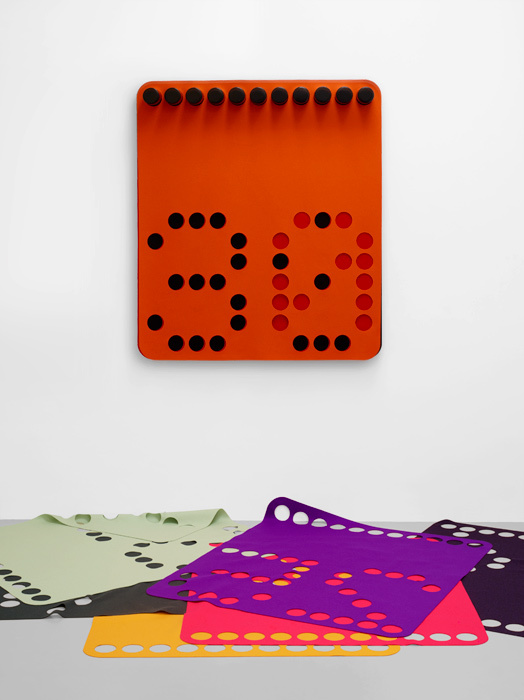 GTF’s contribution was a perpetual calendar – designed to mark the passing of time without being tied to a specific calendar year. 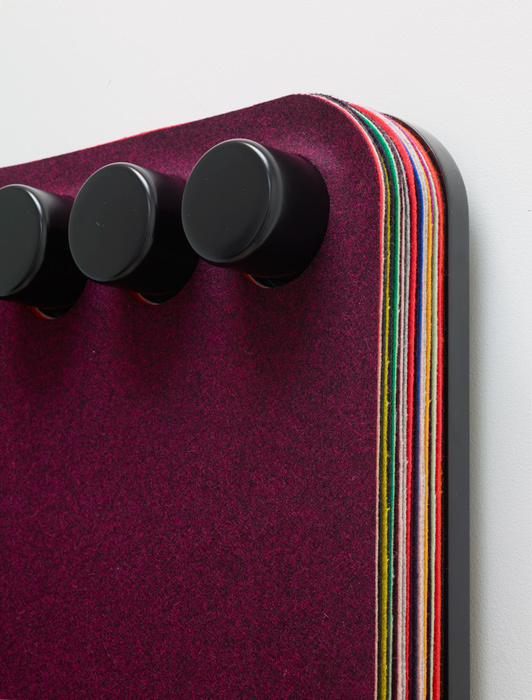 Its design drew upon many of Divina’s properties: the broad range of harmonious colours; sensual drape and its milled surface that allows it to be cut precisely without fraying. 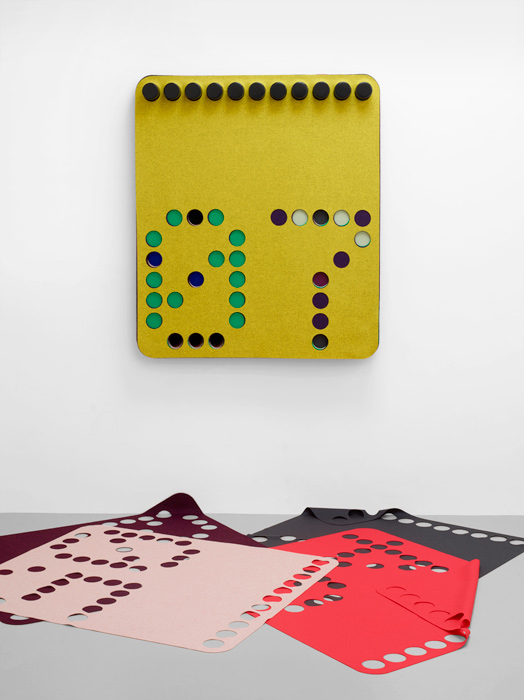 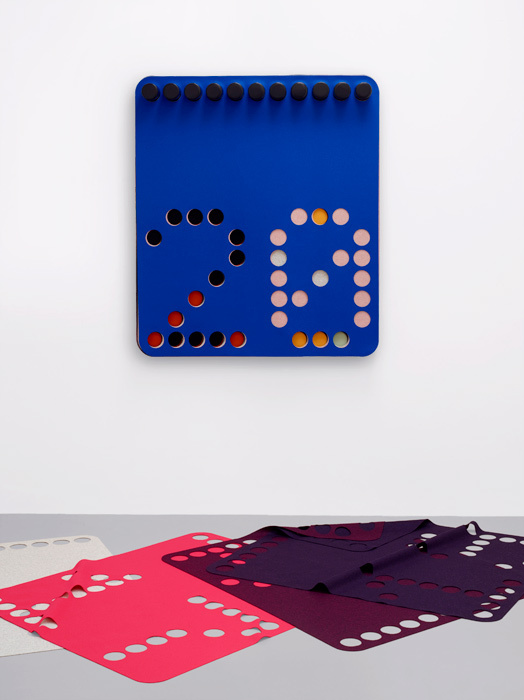 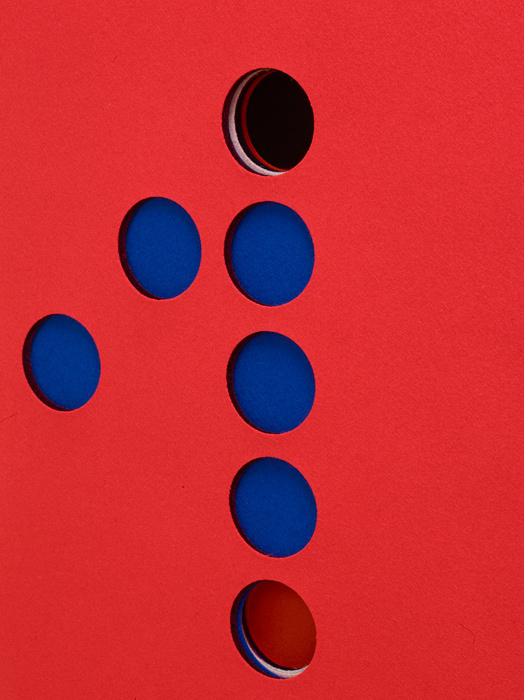 Each day the top sheet is removed, and the matrix of holes that define the numerals allows the viewer to glimpse the layers to follow, revealing a pattern of colour combinations that changes daily.